Also joining us with remarks and greetings were Marsha Atkind, Executive Director and Marcy Felsenfeld, Senior Program Officer from the Healthcare Foundation of New Jersey. HFNJ provided the capital funds to purchase Diva and support some of her important work during her first year of operation. If you are in Essex County, NJ and you or your organization would like Diva to come visit, bringing with her a complement of staff to provide free onsite HIV testing or connection to community resources, please contact our program manager, Charla Cousar at (908) 561-5057! 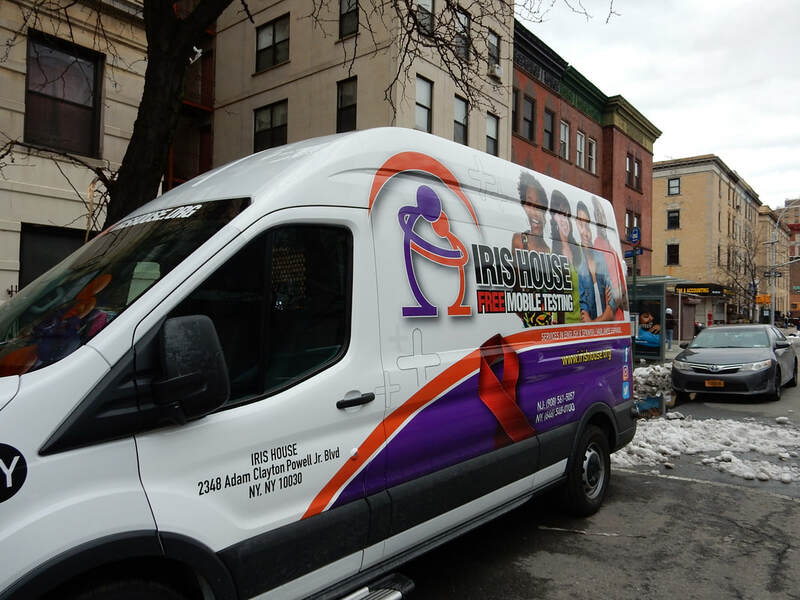 Diva's younger sister, Queenie joined the Iris House fleet early in 2018 as a prevention, outreach and testing van for New York City! Sponsored by the New York City Council's End the Epidemic Inititative, Queenie travels around NYC helping people learn about HIV, Hepatitis C and other STIs and provides rapid, confidential testing services. For information on how to have Queenie to your organization, please contact Ken DeJesus at (646) 548-0100 x303.